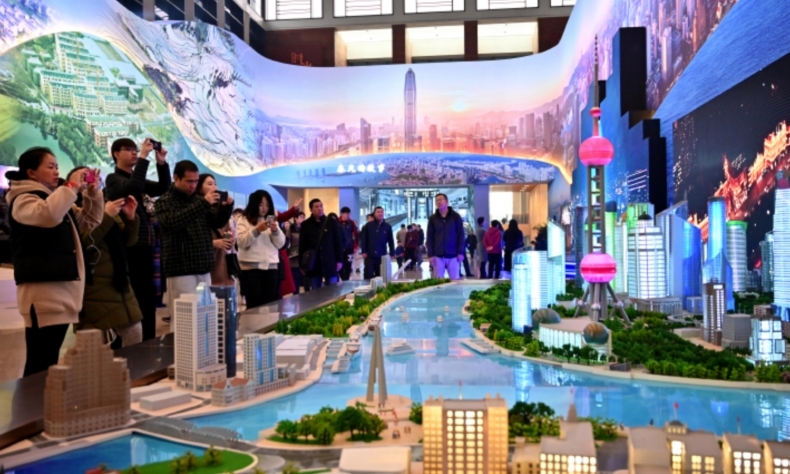 It might be the transformation of Pudong in Shanghai from farmland to futuristic mega-city. Or, it might be the metamorphosis of Shenzhen from a fishing village to a technology hub with a population of 12 million. Perhaps it is the emergence of Beijing as the Capitol of capital, for the second largest economy in the world. From a purely human level, it could be the rise of hundreds of millions of people from abject poverty to working and middle-class living standards. Was it the release of pent-up entrepreneurial energy and brilliance that helped transform a moribund economy? Maybe it’s the fact that farmers and villagers in remote villages across the country can, and do, sell their goods to the world via online marketplaces like Taobao and Jingdong via smartphones. The answer is all the above and so much more. There is nobody, from inside or outside of China, who could credibly claim that they foresaw the speed and depth of China’s transformation in less than half a century. The task of summarizing and reflecting on what has happened in China between 1978 and 2018 is an almost impossible task for any one observer. But the hundreds of volumes of text that have been, and will be, produced on the subject are a good place to start. The story of China’s development over the last forty years is one of, if not the most, fascinating, complex and consequential stories of the late 20th and early 21st century. Reform and opening up was not the result of a single decision, a single person, a single meeting, or a single master plan. It was not a single event launched at a single moment in time with a linear series of predictable and ordained outcomes. Rather, reform and opening up was a process of debate, compromise, experimentation, adjustments, false starts, detours, successes, and long-term commitments by the government and the people which have led to what any impartial observer would define as a successful path to transforming the lives of 20 percent of humanity. It is important to note that some of the great success stories of the era have posed challenges and downsides which still have to be overcome. These include the tasks China faces in taking a positive and active role in the global community, addressing pollution and sustainability and the transition to a consumption, services and innovation-led economy. Following the official commemoration on December 18, expanded versions will continue with a review of some of the key achievements and challenges during 40 years of reform and opening up and a preview of what the next 40 years may hold for China.